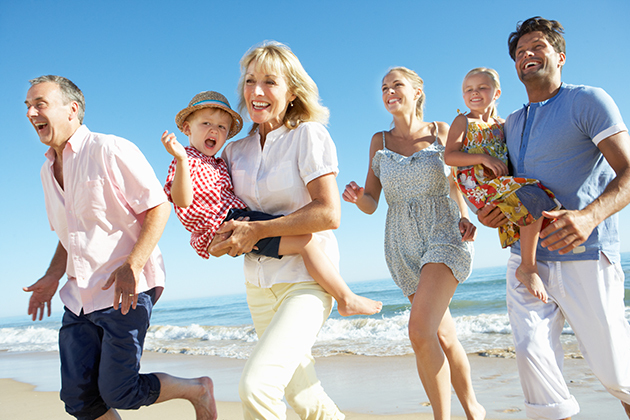 Cruising with the family can be a wonderful thing, especially if you can get the entire gang to join in. 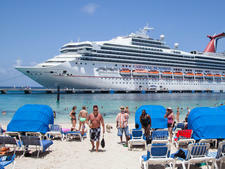 But whether your group numbers six or 60, planning a family reunion cruise can be tricky business. You have to decide where you're going to cruise from, which cruise line to select and how long you'll be aboard, among other logistical questions. If your family is spread all over the United States, Canada, Europe or the world, coordinating can be difficult. Even after you've chosen and booked your actual sailing, there are yet more decisions to be made. Who will be in charge of keeping everyone on the same page? How much will the entire group do together and what activities will be done individually? And should you all get those cheesy family reunion shirts we've all seen others wearing?! To help with the planning of family reunion cruises, Cruise Critic has put together some best practices we've picked up over the years and culled from the insights of Cruise Critic members who have done their own family reunions on a cruise. Have a small group make the sailing decision. For small families, deciding on a sailing might require the input of the entire group. But the larger your group, the more opinions there are -- and the more opinions there are, the slower the decision making goes. Consider designating a small group of people to decide when, where and on what ship the family reunion cruise will take place. For instance, if you're the matriarch or patriarch of your clan, discuss with your children and make a decision, or just pull rank and let them know what the deal is. Or if you're in the middle of the family tree, but think a reunion cruise would be great idea, get on the phone with your siblings or first cousins and agree on a plan. Once the sailing is chosen, spread the word and let others decide if they'll join or not. 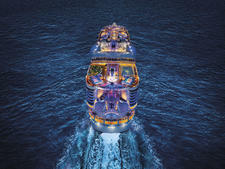 Do a free cruise raffle. 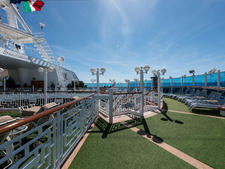 All cruise lines offer perks for group bookings; the larger the group the more generous the perks rewarded. With most cruise lines, a booking of 16 or more cruisers nets one free cruise fare; a booking of 16 or more cabins can earn a free cabin. If you're family reunion cruise group is large enough that you've earned either one or more free fares or even a free cabin, do a raffle and reward one or more family members with the free sailing(s). Book a row of balcony cabins to make one large shareable balcony. If you've got enough family members interested in booking a balcony cabin, consider getting rooms next to each other. On many cruise ships, the dividers between balconies can be removed, creating one large veranda that can be shared by multiple people. You'll need to check with your travel agent or the cruise line before you select your cruise ship, as this can vary from ship to ship even within one cruise line's fleet. Create a family reunion cruise website. Have a responsible member of your party create an online site where all family members can go to find out any cruise details they need to know. You don't even have to be that tech savvy to do this as Facebook enables any user to create and update an event, and invite people to view it. Use this site as a storage spot for cruise details, deadlines, links to shore excursions people are planning on booking (either with the cruise line or through a third party), hotel booking information if relevant and anything else everyone needs to be aware of. 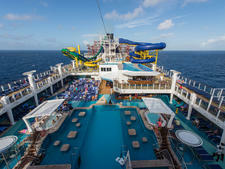 When the cruise is over, you can use the site to upload photos for sharing. Predetermine if, when and where the group will meet each day. Decide ahead of time whether your entire family will meet each day at a pre-set time. Do you all want to do breakfast together? If you know you've got kin that like to sleep in, then perhaps dinners together would be better. The size of your party might influence this decision. The larger your party, the more planning you'll need to do; perhaps the entire group will only get together once or twice during the cruise, but smaller groups will dine together daily on some kind of rotating basis so everyone gets to see and interact with everyone else. Don't try to do everything together. One of the best reasons to choose a cruise for a family reunion is that there is something for almost everyone in one convenient place. Let people choose the activities and shore excursions they enjoy and don't try to force anyone into doing something they don't want to. This way everyone has fun and can share their experiences with others during the times the group does get together. 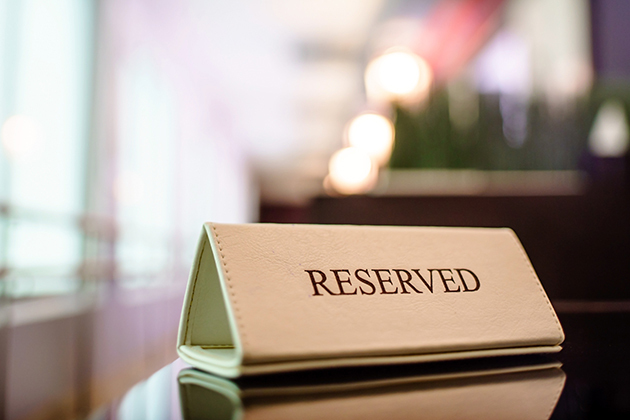 Make any reservations necessary ahead of time. This is critical for large groups. 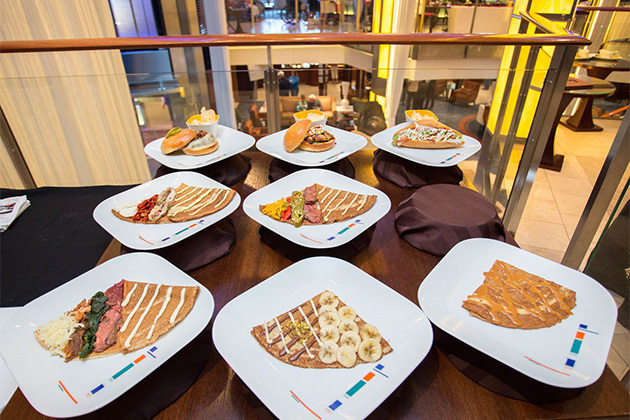 If you want everyone to dine together at the same time and in the same area, you'll need to make sure the cruise line knows you want one or more tables in a main dining room reserved for your group. If you want everyone to be able to meet up and mingle with each other on embarkation day, reserve a meeting room so that people can go straight there after getting on the ship to say hello and catch up. If you want to have a birthday party, show a family slideshow or video or just chill out as an entire group one or more days in a private setting, again, reserve a meeting room ahead of time. You might even be able to have some snacks and nonalcoholic drinks delivered to the room. This is also true of private excursions. On some ships, if your group is large enough the shore excursion department will arrange a private excursion for you, but most of the time you'll need to find a third-party operator. 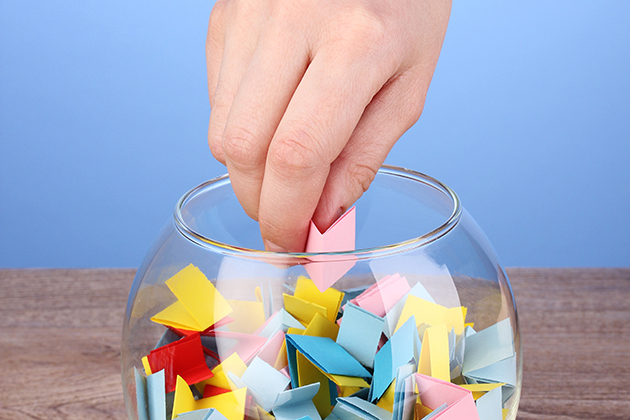 Do this as far in advance of your sailing as you can to make sure you get exactly what you want. Use a magnetic whiteboard to communicate meeting times and locations. Before your cruise, purchase one or two magnetic whiteboards to put up on the cabin doors of select group members. You can use these whiteboards to communicate information, such as: everyone signed up for the snorkeling excursion should meet for breakfast in the buffet at 8 a.m., or grandma and grandpa will be in the ABC lounge from 2 p.m. to 3 p.m., or aunts 1, 2 and 3 are looking for trivia partners for 60s music trivia in the XYZ bar at 4 p.m. This way, any time someone in the group is wondering what everyone else is up to they can check out the whiteboard to see what's going on. Yes, we said it: Get the shirts! Yes, they're corny. Yes, they draw attention. But they're great souvenirs, and having everyone in the same shirt makes for great group photos.